On The Revolutions of the Heavenly Spheres was decacated to Pope Paul III, to protect him from vilification. In the book Copernicus wrote about how the earth revoled around sun, the heliocentric theory, not the other way around like it was believed. This book would later be banned. Johannes Kepler who was born in 1571, would make some very important events in the Scientific Revolution. He would make the three laws of planetary motion. And he also published many books like Astronomia Nova and Harmonices Mundi, where he stated his first two laws in the former, and the third in the latter. 1. The planets move in elliptical orbits with the sun at the center focus. 2. The speed of the planet changes at each moment so, that the time between any two positions is always proportional to the area that is swept out on the orbit between these positions. Galileo made a telescope with increasingly higher magnifying power than any other. The telescope allowed him to be the first to see the craters of the moon and the four moons that orbited Jupiter. He would later write a book about what he saw with his telescope. 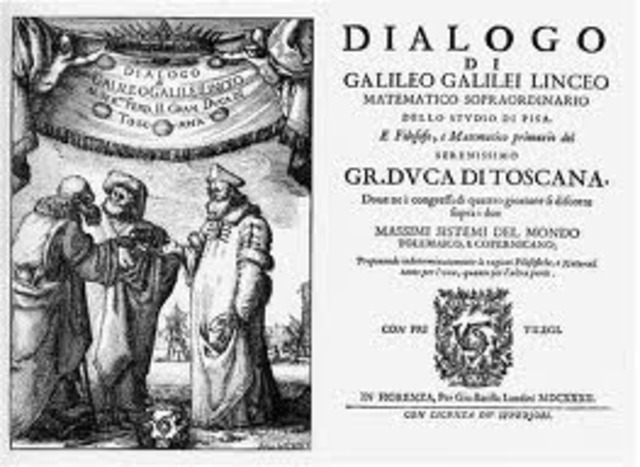 This was the first book to be published about observations made through a telescope, those observations were made by Galileo. Some of those observations were Galilean moons. He also saw that the moons surface was not soomth as the Christian belief, but irregular. Also that there was a vast numbers of stars that are invisable to the naked eye. And lastly he saw that there was a difference between stars and planets when viewed from earth. This book contians his thrid law of plantery motion: The square of the orbital period of any planet is directly proportional to the cube of the semi-major axis of the planet's orbit. 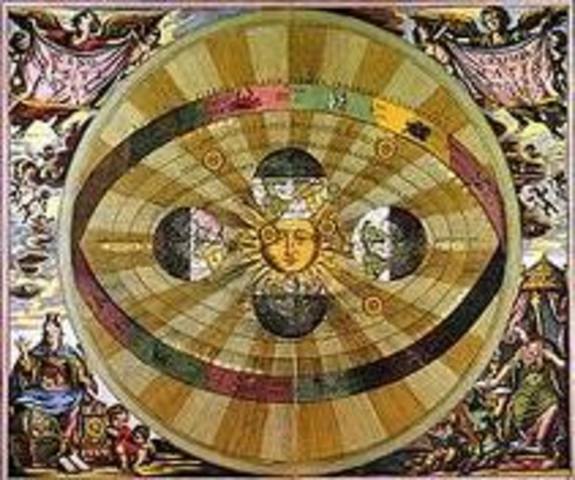 Harmonice Mundi was a type of summation of his theories about celestial correspondences, and he ties together the raitos of planetary orbits along with other things. 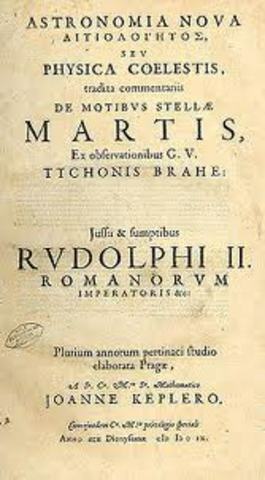 The book was publlished with a license from the Inquisition.The book compares the Copernican system with the traditional Ptolemaic system.The Copernican system was that the sun was the center and the earth along with other planets orbited around it.The Ptolemaic system was that the earth was the center on the universe.It was written as a talk between three people, two philosophers and a layman, that disscussed many things concerning both systems and the differnt elements of them. 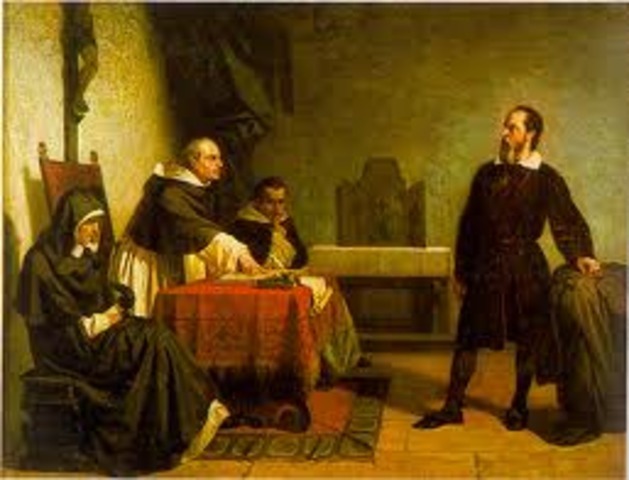 The trial was because of his book Dialogues on the Two Chief Systems of the World, the Cathloic Church thought that it showed a supicion of heresy so they put him on trial. He was told to renounce his beliefs of the Copernican theory, and the motion of the earth. He of course did not renounce his beliefs, and instead of being killed like the oranigal sentence, he was out on house arrest that was enforced till his death, and his book, along with others, was banned by the Catholic Church. 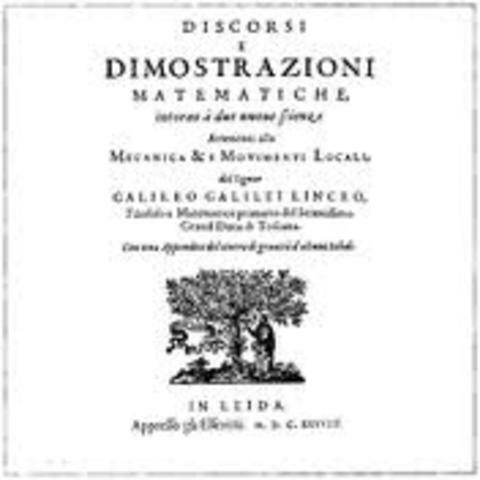 Two New Sciences is published by Galileo about the laws of motion. It was written during his time under house arrest. It was also not published in Italy becuase of his trial. It was published in Leiden, The Netherlands. It was still written as the diaoluge between two philosophers and a layman. It is the wrok of Issac Newton, and it is often called Principia. The book sates his laws of motion, also his law of universal gravity. 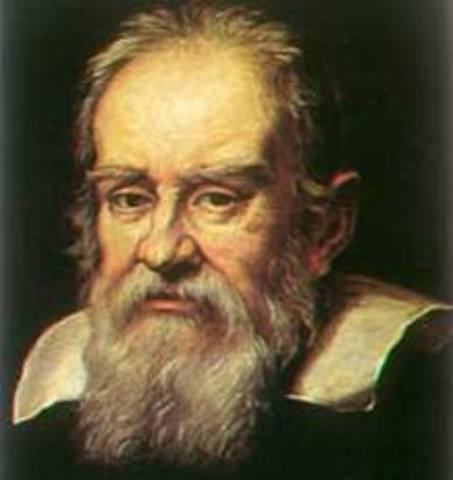 In his book Newton's mathematical theory of motion under centripetal forces, and the ones stated by Galileo and Huygens are different because Newton's was genertic. Galileo and Huygen's focused on only one time type of force, while Newton's covers not only forces that vary in one way, but forces that way in other ways. A time of scienticfic discoveries, and challenges to world views.